If we've learned anything from Google executives over the past few years, it's a lot of statistical information about the success of the company's Android operating system. Those who attended the Dive Into Mobile this week conference and listened to Google Executive Chairman Eric Schmidt speak soon learned just how serious the search engine giant was about its mobile OS. Last October, we learned from Schmidt that Android was being activated on 1.3 million device daily, which he then estimated would put the OS on more than 1 billion devices in 2013. According to Schmidt's statements on Tuesday at the conference, not only have Android activations increased since last fall, but now Google has an even better chance of hitting the 1 billion mark before the end of the year. What's cooler than a million activations? Android is now being activated on 1.5 million devices a day, which is a pretty nice improvement over October's numbers. Based on that trend holding true for the rest of the calendar year, Schmidt expects to increase the current number of 750 million active Android devices by one-third, which puts it right at the 1 billion mark. Of course, Schmidt didn't just talk numbers the entire time, because that would be boring. He touched on subjects like Facebook Home and the Maps situation with Apple. When asked if Google was worried about Facebook Home, Schmidt dismissed the idea entirely. 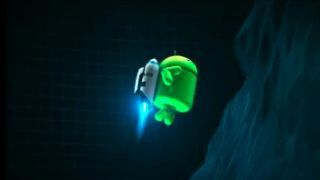 "We're phenomenally happy that people are using Android in these ways. You can't have half-open source. It's open source," Schmidt said. "Facebook read the manual, they read the rules, and they adhered to them. Shocking. Good for them! They went to great lengths to remain application-compatible." Even after all these months, the Maps mess is still a sensitive subject to some, but Schmidt assured that it was of no consequence. "From our perspective, we really want them to use [Google Maps]," Schmidt said. "It'd be easy to take the app in the store and use it as their basic one." "They decided not to. But we'd really still like for them to use our Maps." When 10.5 million people are activating your operating system every week, you can probably be a little less concerned about what the competition is doing.